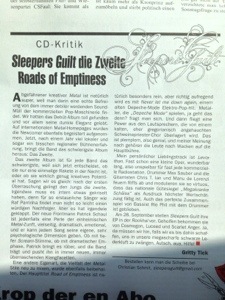 You can find a review of Road of Emptiness in today’s Feierkrop. This entry was posted on 20. September 2013 by Sleepers' Guilt. It was filed under Music .